Hix Oyster & Fish House01297 446910work Restaurant - SeafoodThis is easily one of the most picturesque spots to enjoy fresh British fish seafood. 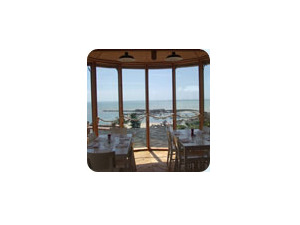 The Fish House is an informal, light and airy dining room with simple white wooden tables and chairs. Here the focus is on sourcing and serving the best produce we can find and doing as little to it as possible so that you enjoy the real flavour of great British ingredients. This is easily one of the most picturesque spots to enjoy fresh British fish seafood. HIX Oyster and Fish House supports sustainable fishing.